Select the proper gear to maintain speed and not lug the engine. Check traffic thoroughly in all directions and move to the right-most or curb lane. If legal to do so, use the 4-way flashers if traveling too slowly for the flow of traffic. Select a “safe” speed, one that is not too fast for the weight of the vehicle, length and steepness of the grade, weather and road conditions. Once a “safe” speed has been reached, apply the brake hard enough to feel a definite slowdown. Once speed has increased to the “safe” speed, repeat the procedure. Example: If your “safe” speed is 40 mph, you should apply the brakes once your vehicle speed reaches 40 mph. Your brakes should be applied hard enough to reduce your speed to 35 mph. Once your vehicle speed reaches 35 mph, release the brakes. Repeat this procedure as often as necessary until you have reached the end of the downgrade. This braking technique is called "snubbing." When operating any commercial vehicle, do not ride the clutch, race the engine, change gears or coast while driving down the grade. At the bottom of the grade, be sure to cancel the 4-way flashers. Not all test routes will contain an area of sufficient grade to test your skills adequately. Therefore, you may be asked to simulate (verbally) driving up and down a steep hill. You must be familiar with the upgrade/downgrade procedures so that you can explain and/or demonstrate them to the examiner at any time during the driving exam. Be sure to check your local state laws regarding the use of 4-way flashers. Some states will prohibit its use while others require it when driving slowly. While on a downgrade, how far below your "safe" speed should you go until you release the brakes? Select a safe speed, one that is not too fast for the weight of the vehicle, length and steepness of the grade, weather and road conditions. Once a safe speed has been reached, apply the brake hard enough to feel a definite slowdown. Once speed has increased to the safe speed, repeat the procedure. Example: If your �safe� speed is 40 mph, you should apply the brakes once your vehicle speed reaches 40 mph. Your brakes should be applied hard enough to reduce your speed to 35 mph. Once your vehicle speed reaches 35 mph, release the brakes. Repeat this procedure as often as necessary until you have reached the end of the downgrade. This braking technique is called "snubbing." Avoid riding the brakes during steep downgrades and choose your correct gear before descending the hill. Always slow down and be in proper gear before a downgrade and never change gears or coast during the downgrade. 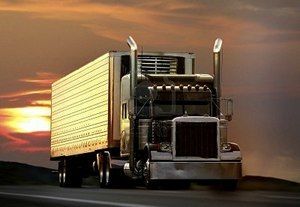 - Select the proper gear to maintain speed and not lug the engine. - Check traffic thoroughly in all directions and move to the right-most or curb lane. - If legal to do so, use the 4-way flashers if traveling too slowly for the flow of traffic. Check your local and state laws regarding the use of 4-way flashers while driving slowly. Some states require it, while other states prohibit the practice.